In July, Chicago pop-punk veterans Alkaline Trio announced their ninth album Is This Cursed? and released its first single “Blackbird,” which was not written by Paul McCartney and certainly not a soft, pastoral acoustic song. Subsequently, they released the album’s peaked-out punk power ballad of a title track. Now Matt Skiba—who remains busy with Blink-182 on the side—and the gang have shared a similarly hi-fi, emotive third track from the album, “Demon and Division.” It comes complete with a lyric video featuring faded footage from a film by one of the first filmmakers ever, Georges Méliès. The footage from The Magician’s Cavern mimicks the “black magic” theme in the lyrics. Alkaline Trio will be touring the United States this fall. Is This Cursed? is out on Friday (August 31), with vinyl forthcoming on October 19; preorder the album here. 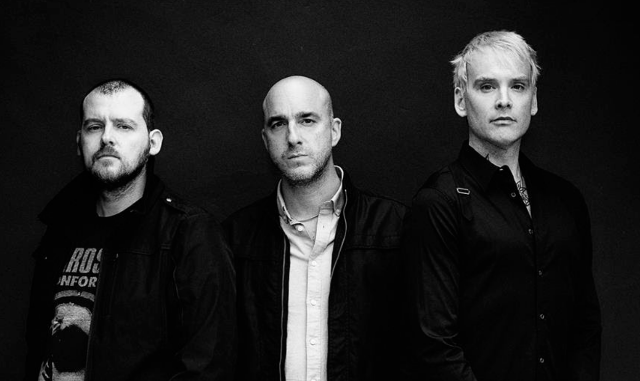 Stream Alkaline Trio’s New Album Is This Thing Cursed?